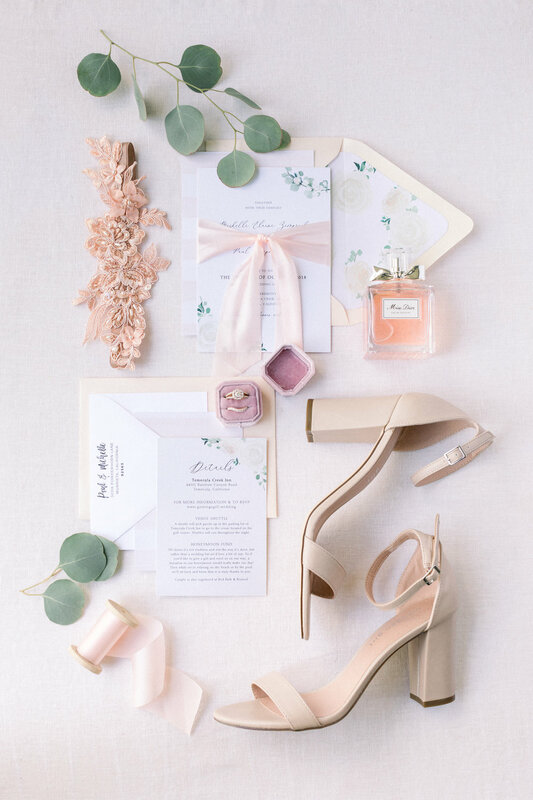 Saying we are obsessed with Michelle and Paul’s wedding would be a huge understatement! 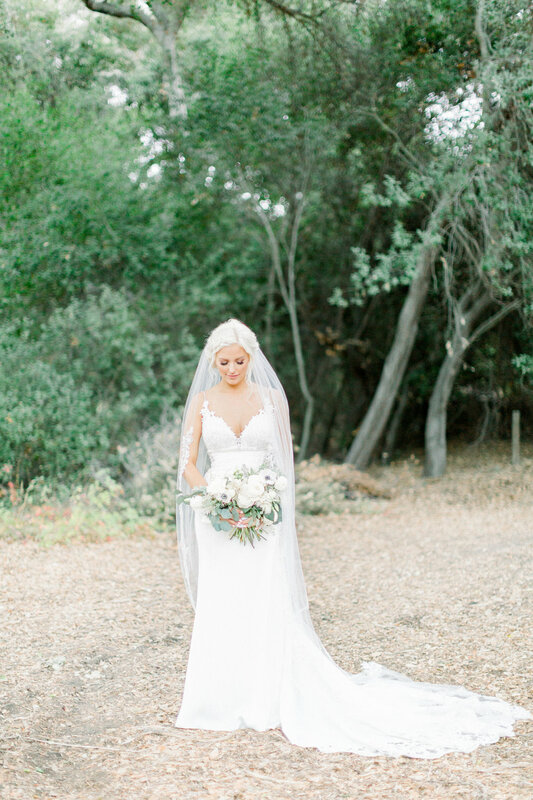 From the perfect Temecula venue to gorgeous flowers, she looked absolutely stunning at her October Wedding! 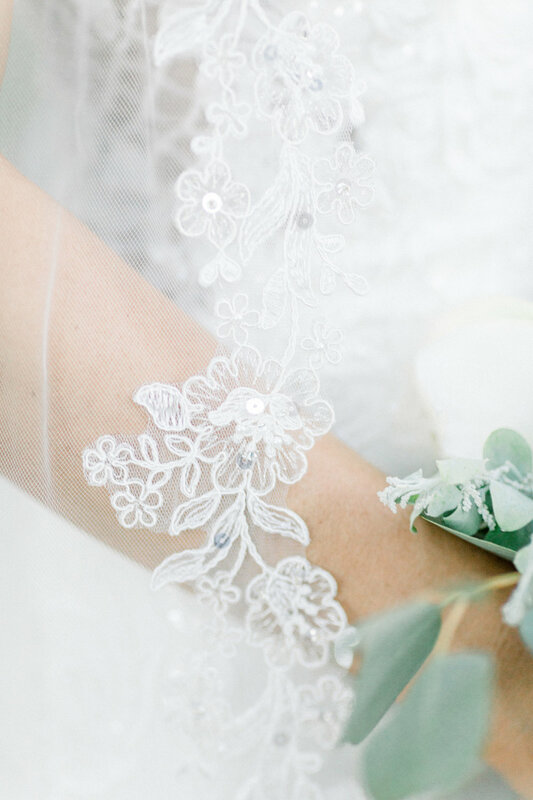 Michelle wore a beautiful Stella York Crepe wedding dress with delicate lace details and the perfect amount of beading! All photography was done by the very talented Jenna Joseph. Michele and Paul said their I Do’s at the beautiful Temecula Creek Inn. 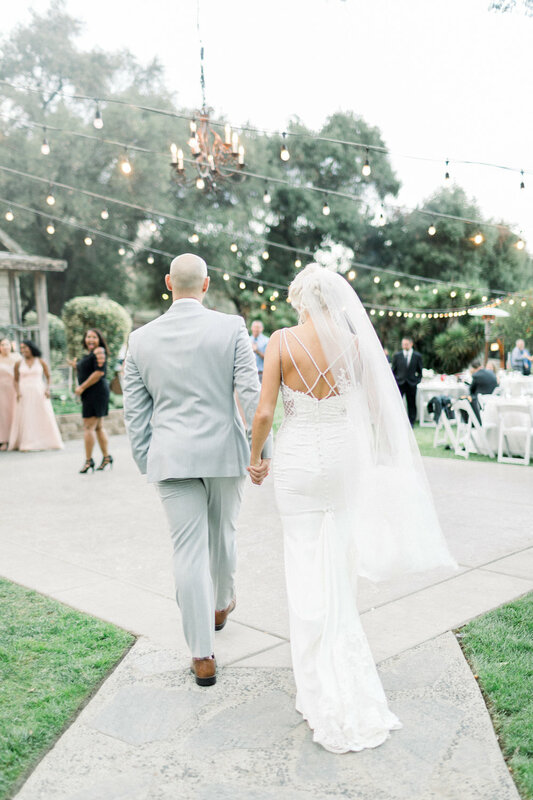 We are obsessed with this local venue because of the picturesque grounds and they offer two different venues to choose from depending on your style and budget. We love the versatility of their venue. (Plus, we hear the food is to die for!) 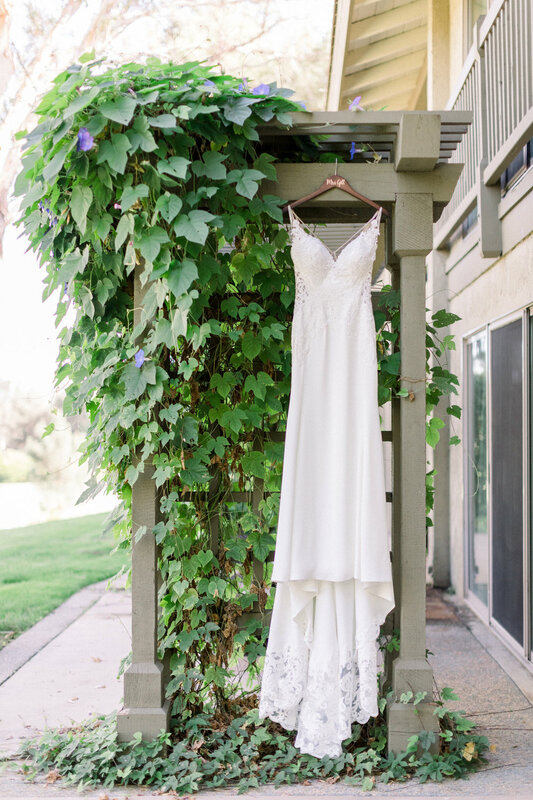 This Southern California Wedding Venue is located right outside of Temecula Wine Country. We recommend checking them out when looking for your venue! Paul wore a dashing grey suit and floral bow tie from our friends over at Friar Tux. 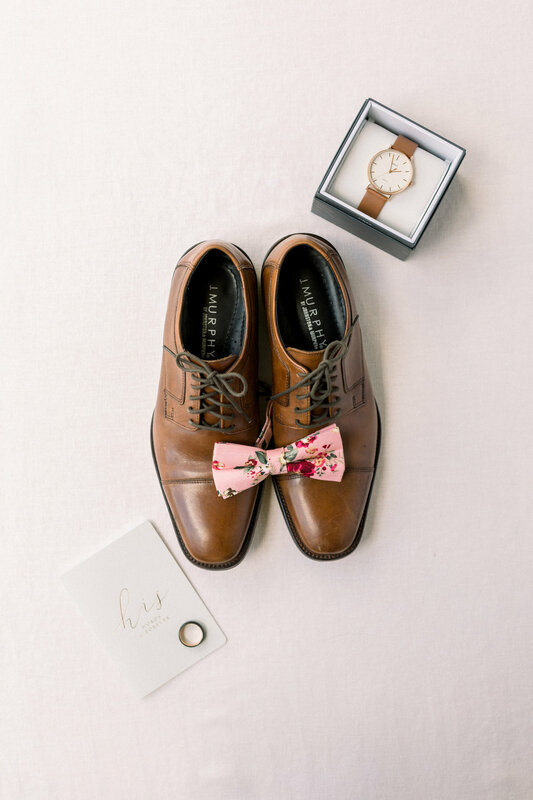 Here are some of our favorite shots from this gorgeous California Wedding! Be sure to check out their vendors on Instagram!